There are so many great Izmir attractions, it’s hard to make time to visit them all. 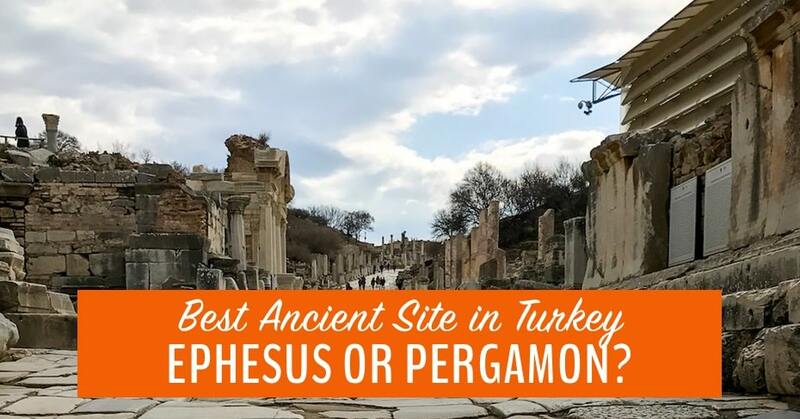 This post will help you decide between the ancient sites of Ephesus and Pergamon and show you what to see nearby. Stephen and I have been to Pompeii in Italy, Jerash in Jordan, and Palmyra in Syria — not to mention Rome and Athens. But when in Turkey, you can’t NOT visit Ephesus or Pergamon. That would just be wrong! The gate of Heracles, in Ephesus. Ephesus is on the west side of Turkey, about 20 km from the Aegean Sea. 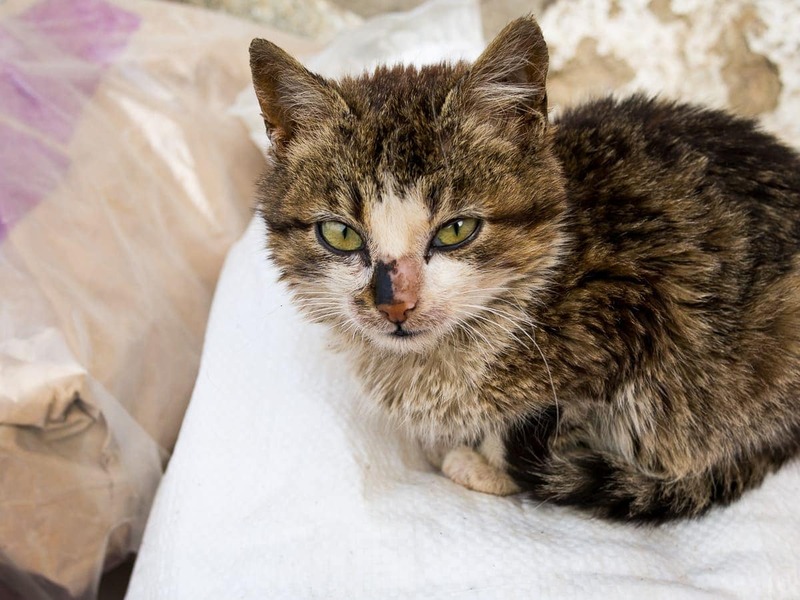 It’s a 1-hour drive south of the city of Izmir and is 3 km from the town of Selçuk. It is widely known as one of the most spectacular Izmir attractions, and one of the most popular sites in Turkey. 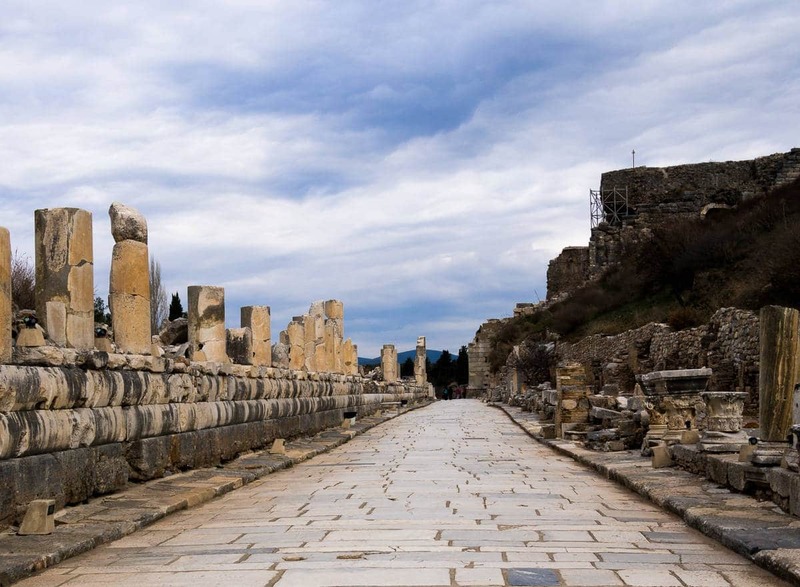 What’s the History of Ephesus? Built by Greek colonists in the 10th Century BC, Ephesus was established as a port and became the Western Terminus of the Silk Road. From Ephesus, goods were shipped by sea to Italy, Greece and other Mediterranean countries. But that wasn’t all that was being shipped. After the Romans took over in around 100BC, Ephesus became the world capital of slave trading for about 200 years. These streets were a hub of slave trade in Roman times. 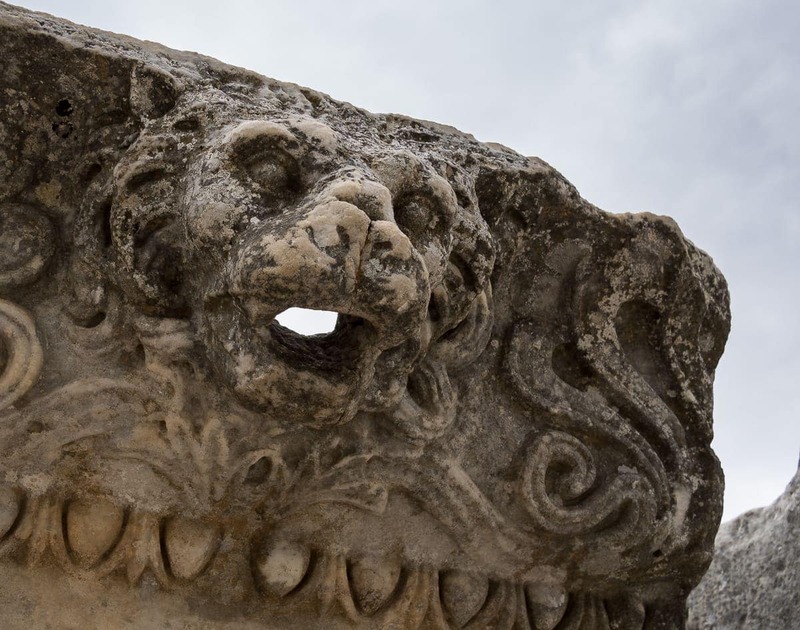 Gargoyle in the ancient city of Ephesus. Impressive arched gate in Ephesus, Turkey. In 262, Ephesus was devastated by an earthquake and then sacked by the Goths. Around the same time, the port silted up and Ephesus was never the same again. In 1869, British engineer J. T. Wood began excavations at the site in the name of the British Museum. About 30 years later, the Austrian Archaeological Institute took over and they are still excavating Ephesus today! Now that’s commitment. As a key trading port on the Silk Road, Ephesus was the meeting point for people from around the world to buy and sell goods, catch up on world news, and try exotic products – like onions and chilli peppers. 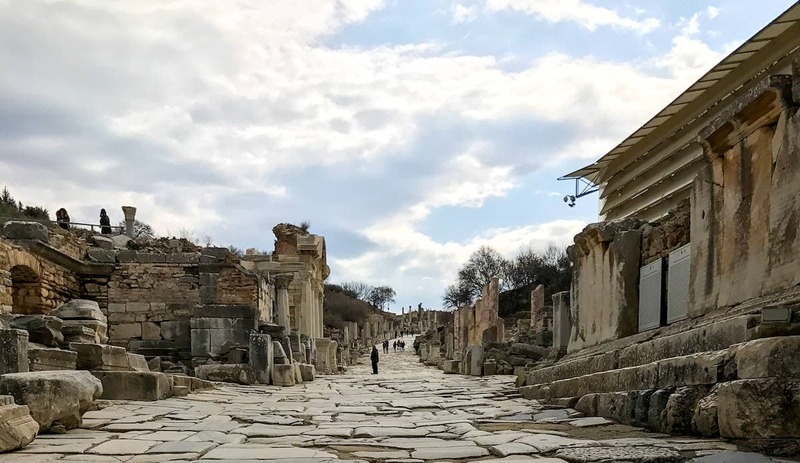 Walking the wide cobbled lanes in Ephesus, I could easily imagine the throng of pedestrians, with every face shape and skin colour, speaking every language known to man, who would have gathered here 2,000 years ago. This street welcomed people from all over the world 2,000 years ago. It still does! What Will You See in Ephesus? 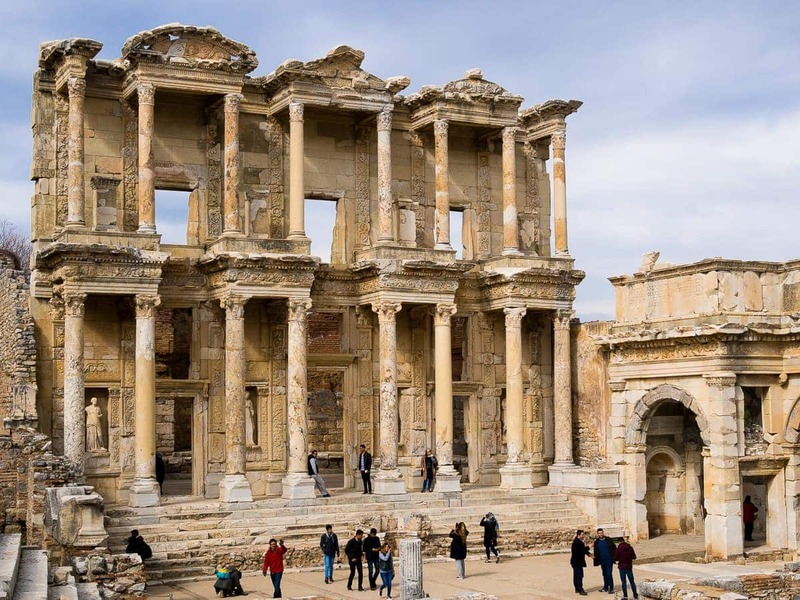 Ephesus is most famous for the Celcus library which was carefully built to protect thousands of irreplaceable scrolls from weather, fire, and theft. It’s been grandly restored and will thrill any fan of ancient architecture or history. The Celsus Library in Ephesus contained 20,000 rare scrolls. Partially restored Celsus Library in Ephesus. Even more thrilling, to me, is the 15,000-seat theatre. When I walked in, a group of Chinese tourists were singing Western opera, bringing life to a scene that thrilled my imagination. Watch the short video I shot. The magnificent theatre at Ephesus. 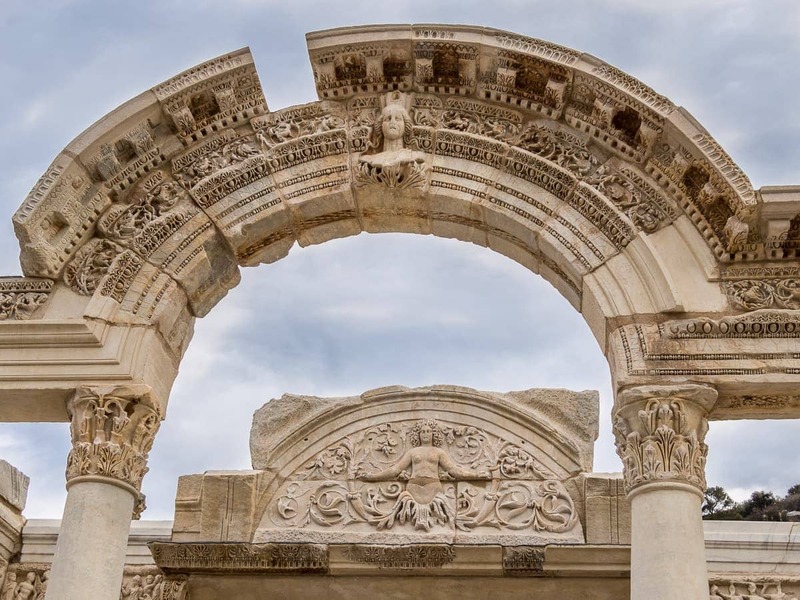 What Izmir Attractions Can You Visit Near Ephesus? 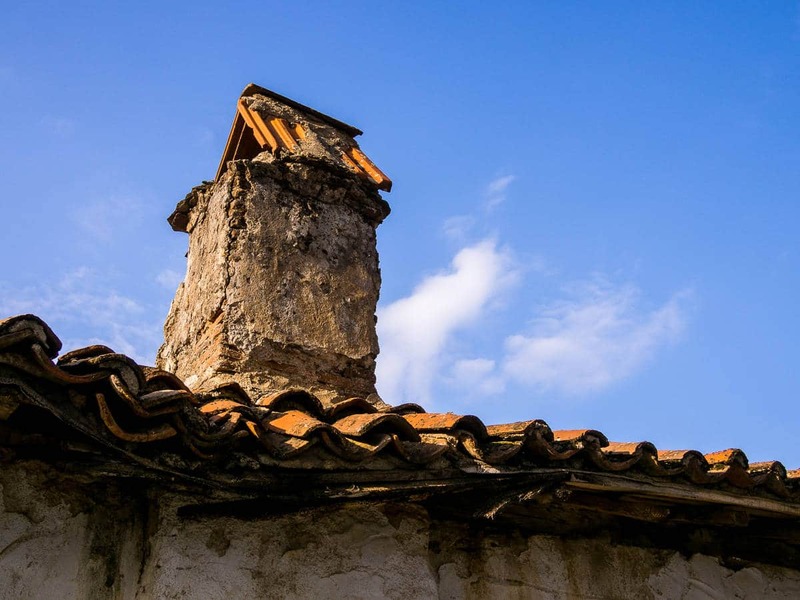 The charmed village of Şirince Izmir is just a 15-minute drive from Ephesus. I couldn’t get enough of the winding cobbled streets leading enticingly higher and higher into the hillside. Along the streets, crumbling wooden houses rub shoulders with lovingly restored homes and guesthouses. I immediately started fantasizing about buying one of these ruins and turning it into our cozy tiny home. During the 2012 Mayan Apocalypse (which never happened, FYI), there was a rumour that the positive energy in Sirince Village would save people from the end of the world. Hundreds of doomsday tourists flocked to the tiny town and the world didn’t end. So that means it worked, right? Perfect blue skies in Şirince, Turkey. 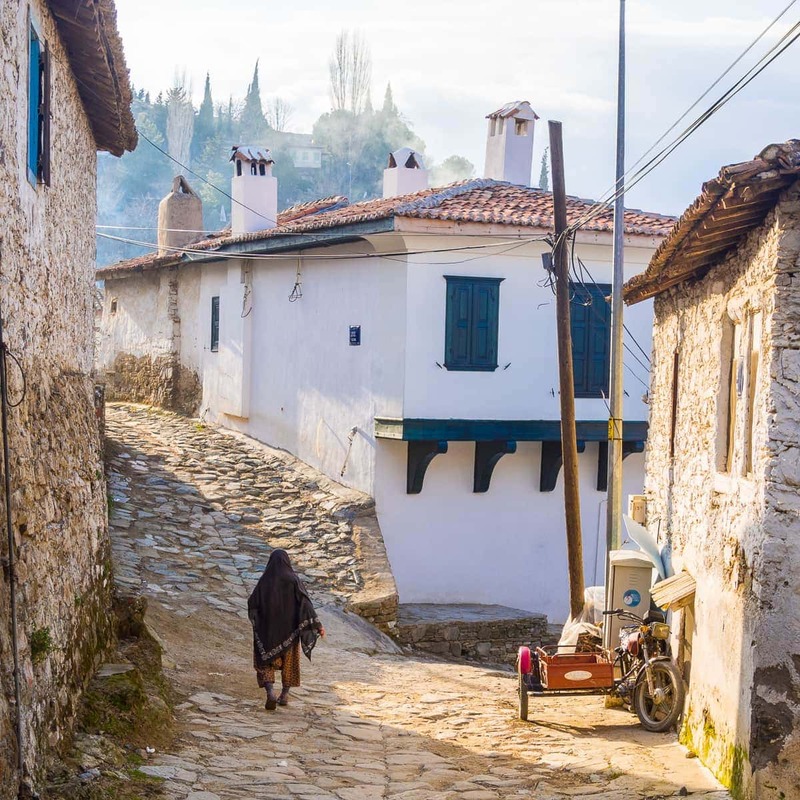 The streets of Şirince are charming, and legend has it, charmed. 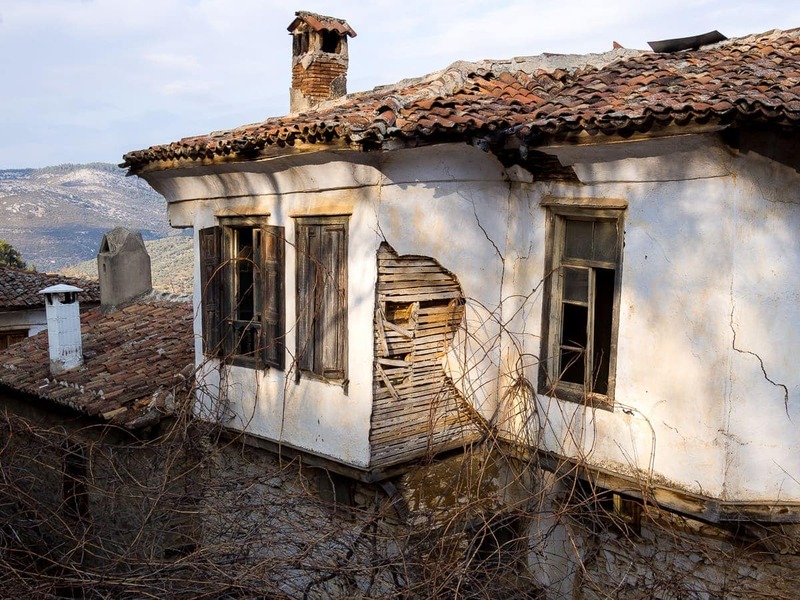 I can imagine restoring this house and living happily in Sirince Turkey! I didn’t see the end of the world in Şirince, but I did eventually come to the end of the town. There I found horses, ducks, chickens and a herd of goats coming in from pasture. Plus cats. Lots of cats. 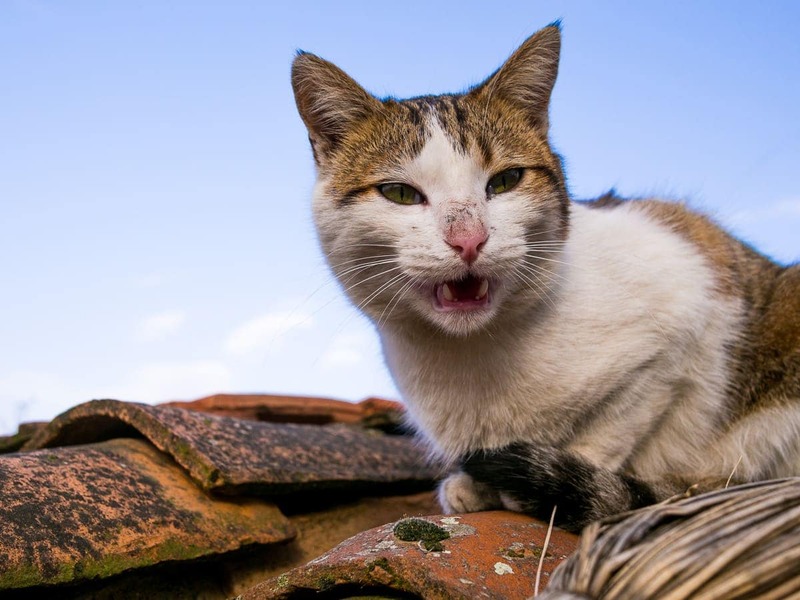 Kitty protests loudly in Sirince, Turkey. 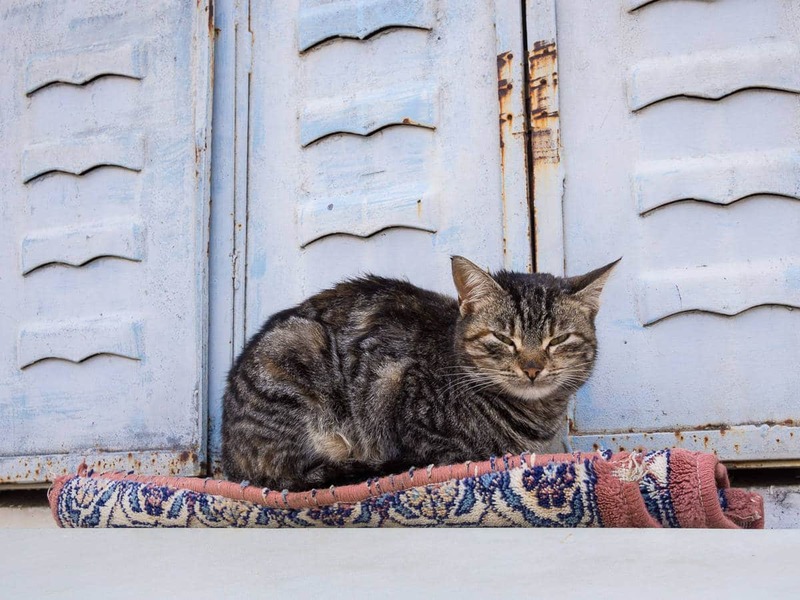 Laid-back cat in Sirince, Turkey. Tiny kitty in Sirince Izmir almost ended up in my pocket to take home! When I returned to the village, artisans beckoned me into their shops and men asked me to take their picture. Yes, they were flirting but in a totally charming and non-threatening way. In Şirince, you can also drink Sirince wine, regional foods and the most vivacious ice-cream man you’ve even seen. An afternoon in Şirince was not long enough. I wanted to book a room in one of the wonderfully restored B&Bs and stay for a week. View of Bergama from the Pergamon acropolis. Pergamon, also sometimes referred to as the Bergama Acropolis, is on the west side of Turkey, about 30 km from the Aegean Sea. 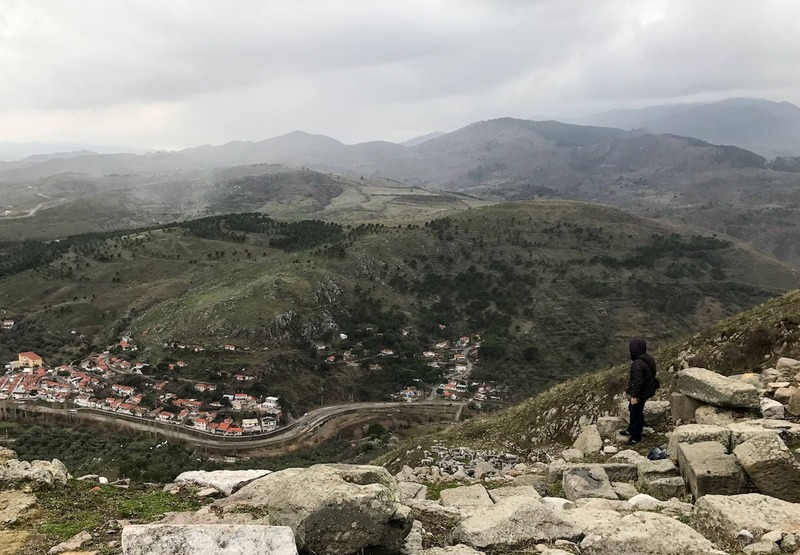 It’s about a 2-hour drive north of the city of Izmir and overlooks the town of Bergama, Turkey. It is a less-visited Izmir attraction but has been made more famous by the extremely popular Pergamon Museum in Berlin. 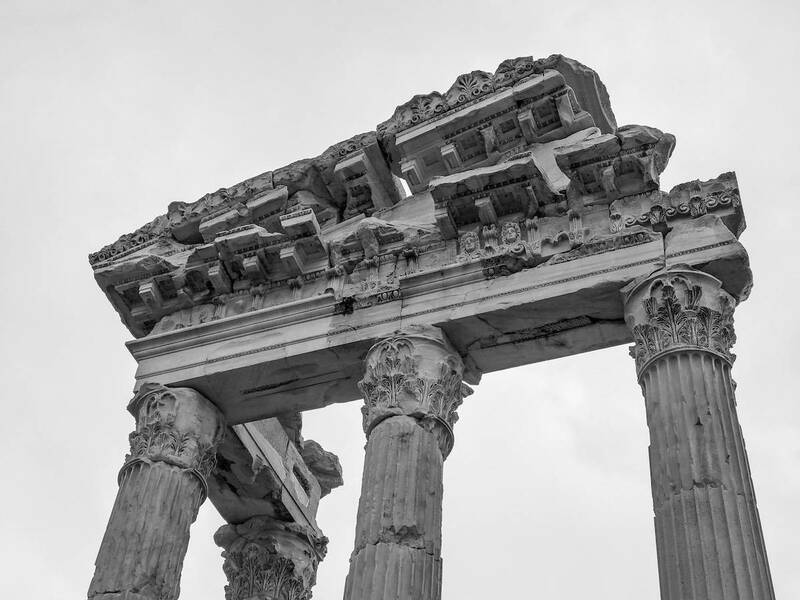 What’s the History of Pergamon? Pergamon was established in 301 BC by Lysimachus, King of Thrace. Unfortunately for the king, Thrace soon collapsed and Pergamon became the capital of a new kingdom, also called Pergamon. The Attalids, who ruled the new kingdom, were allies with Rome and were said to rule the area with generosity, helping the cities in their domain to thrive. In 133, after the then-ruler failed to produce a male heir, Pergamon was bequeathed to Rome. Sustaining a couple hundred years of decline, the city was then restored and expanded by Emperor Hadrian (yes, he of the wall), who built temples, the theatre, a stadium, and a fancy spa. At its peak, 200,000 people lived in Pergamon. Just like Ephesus, the city was badly damaged by the earthquake in 262 and soon after, was sacked by those nasty Goths. Stone archways under the Pergamon Altar help hold the structure in place. Fast-forward to 1878, when Carl Humann, a German engineer, began to excavate the site with the co-operation of the Turkish government. Fragments of the site were shipped to Berlin, where they were reconstructed and eventually put on display in the Pergamon Museum in Berlin. Until 2020, you won’t be able to visit the altar though – the rooms housing the Pergamon artifacts are under construction. 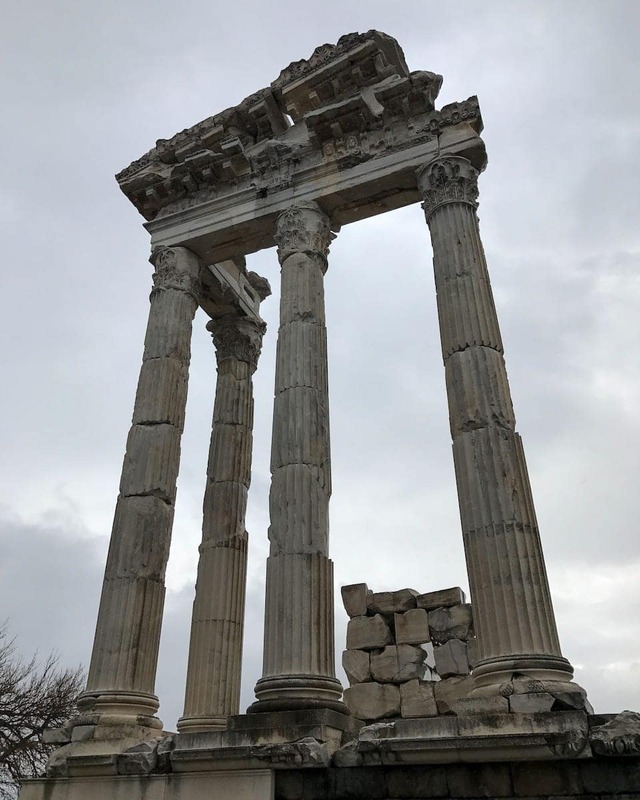 It’s the original site of the Altar of Zeus at Pergamon, a supersized structure with towering columns where once stood a great frieze depicting a war between the Gods and the Titans. No one is quite sure why the altar of Zeus was built, as there are no references to it in the literature of the time. It is assumed that the altar was built as a power move by the new rulers when Pergamon became its own kingdom. Sometimes, it’s all about size, like at the Pergamon Altar in Turkey. The towering Pergamon altar, missing its famous frieze. 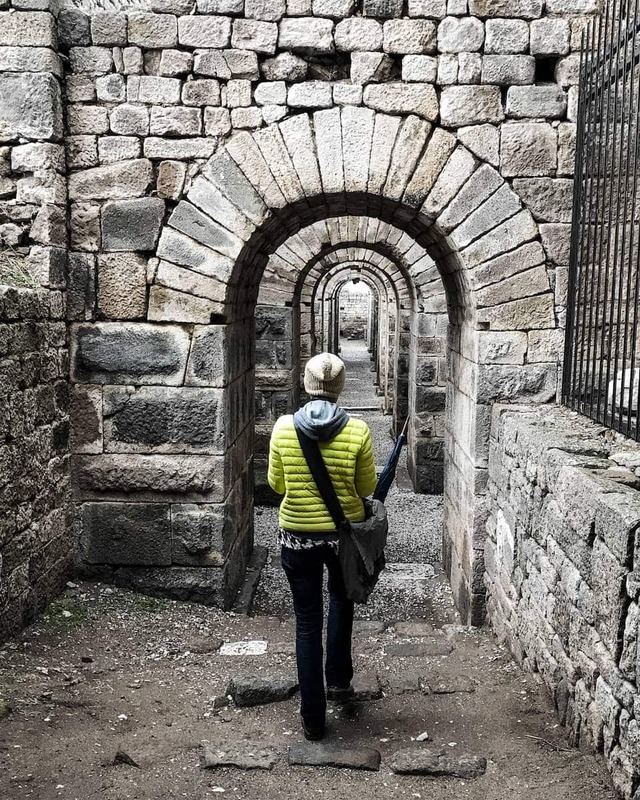 What Will I See in Pergamon? While the altar is impressive, I loved the Pergamon theatre. It’s the steepest ancient theatre in the world and I wouldn’t have wanted to climb its staircases amid thousands of boisterous theatre-goers. 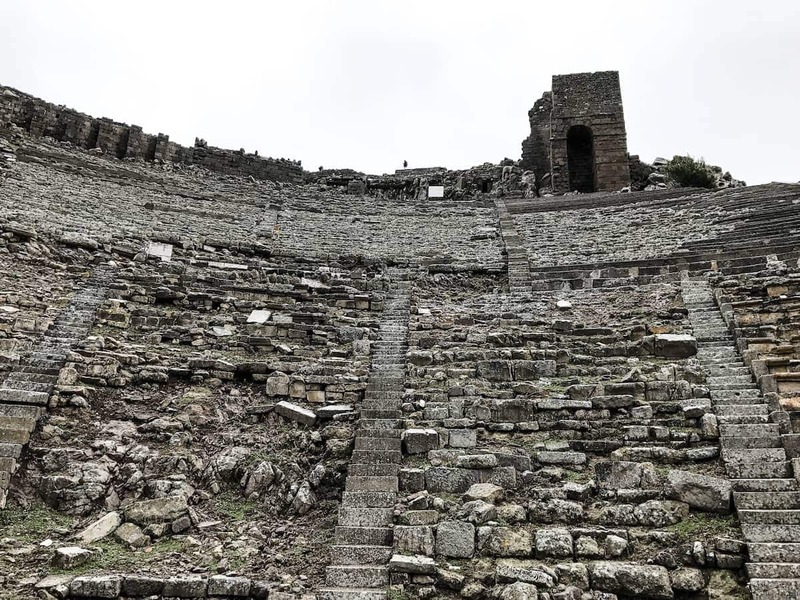 It is positively vertigo-inducing and, to make things more dramatic, the Pergamon theatre is built into the hillside, so the ground falls away from the stage at a dizzying angle. The Pergamon theatre is built into a steep hillside looking over the valley. The Pergamon theatre from below. Hard to imagine 10,000 people packed in here. 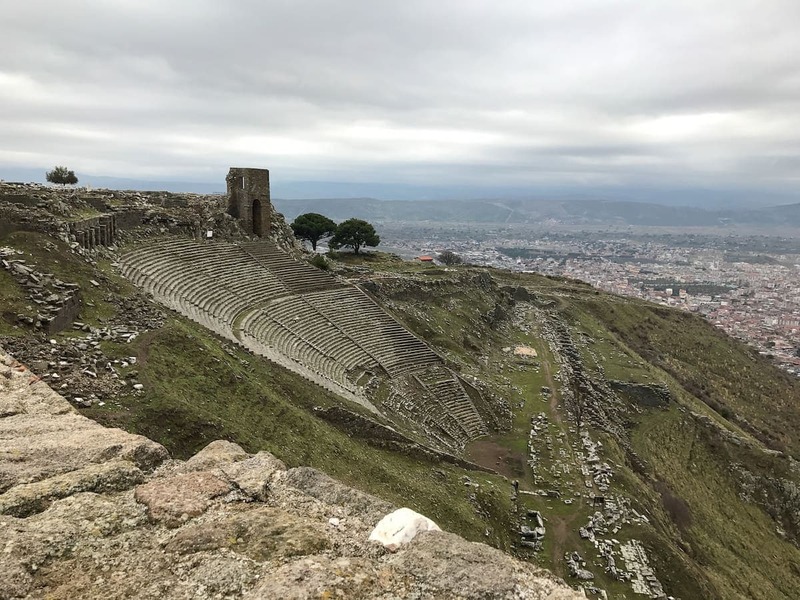 What Izmir Attractions Can I Visit Near Pergamon? Just down the hill from Pergamon is the modern town of Bergama Turkey. Perhaps because I got caught in the most vicious rainstorm ever or because I got completely lost on the back streets, Bergama charmed me. 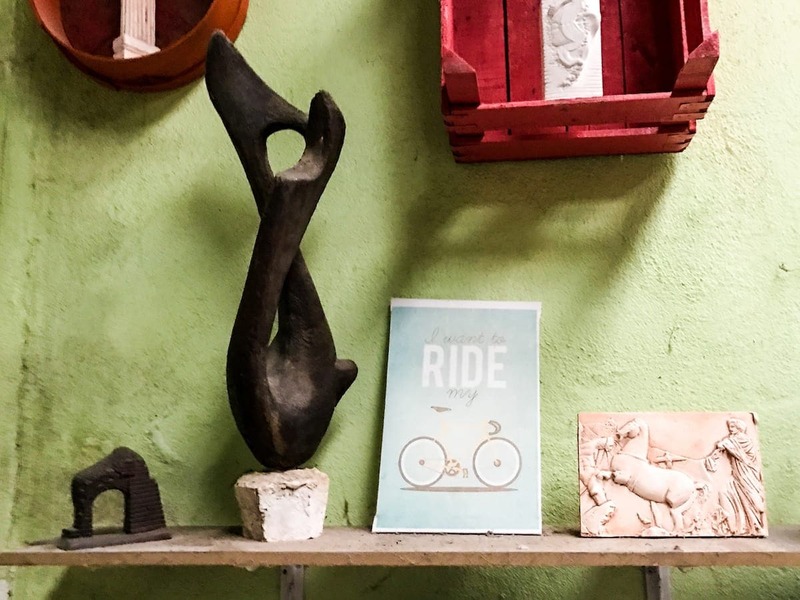 I found a local artist’s studio where the artist warmly invited me in to look around, was watched by curious old men as I gazed around the streets, and got to see a blacksmith at work hammering out farm tools in his shop. 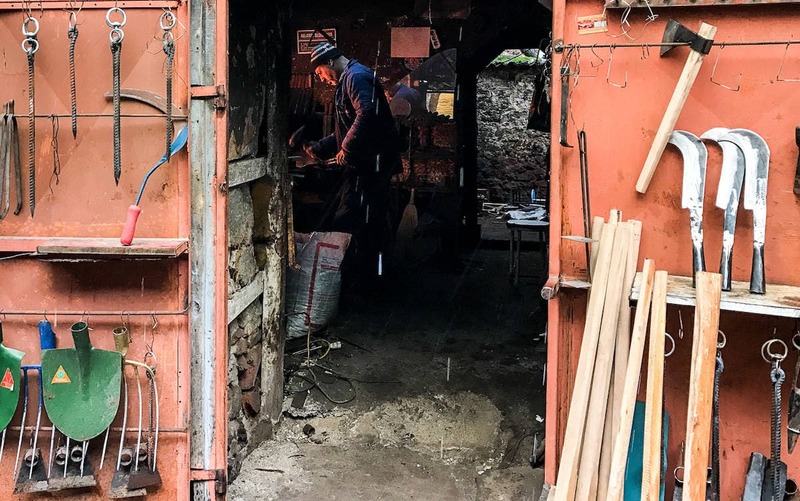 Bergama blacksmith creating farm tools. An artist invited me in to look at his work in Bergama, Turkey. 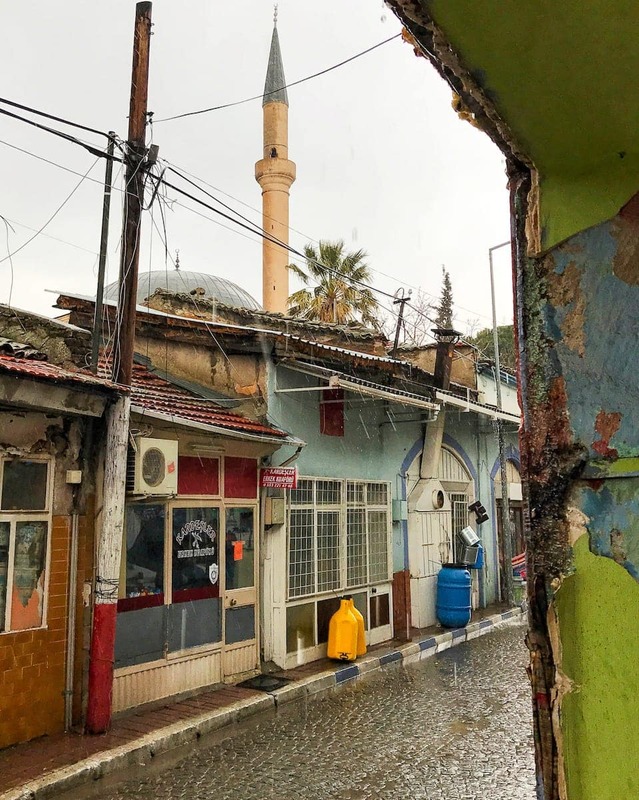 Rainy day in Bergama, Turkey. 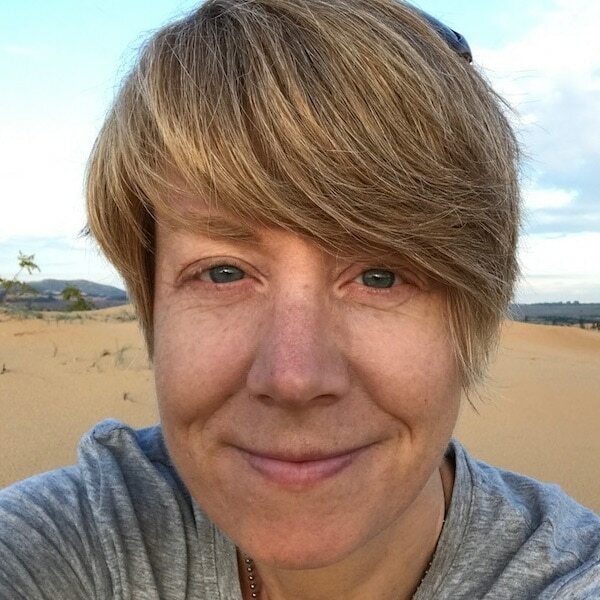 The Verdict: Should you Visit Ephesus or Pergamon? I really enjoyed the couple of nights I spent in the city of Izmir, a laid-back seaside town. The list of Izmir tourist attractions is great too. You can stroll along the beach, enjoyin the sea, go clubbing until dawn, or just sit on the waterside promenade, sipping Raki and supping on seafood. Izmir’s history dates back 4,000 years, so you can also visit ancient sites right in the city. The ancient Izmir Agora is top of the list of Izmir things to do. Finally, the bustling market is a fantastic way to spend a few hours getting to know what modern life in Izmir is all about. Of course, Izmir is also the perfect jumping off point to visit Ephesus or Pergamon. If you’re staying in Izmir, there are lots of options to get to both sites. Ephesus or Pergamon? Ephesus is easier to get to from Izmir and slightly closer. At Ephesus, I thought the Celsus library was mighty impressive and the theatre was a great place to sit and imagine what the city was like thousands of years ago. It’s also a beautiful setting for walking and wandering. The altar at Pergamon is impressive but it’s too bad the famous frieze is in Berlin. However, the theatre is wonderful and I couldn’t get enough of the dizzying feeling of standing on the edge and looking down. Ephesus or Pergamon? The Pergamon site, at the top of the hill, was more exciting to me. Ephesus is frequently visited and can be very crowded in summer when the cruise ships are in port. Pergamon is quieter and more remote, so crowds likely won’t be a problem. Ephesus or Pergamon? If avoiding tourist crowds is important to you and you go in high season, choose Pergamon. 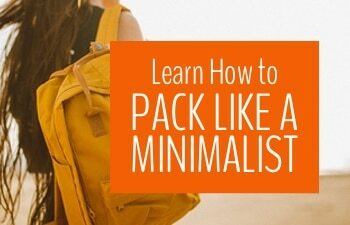 If you’re in the region out of season, neither site will be crowded. I liked both Şirince and Bergama. For sheer charm and number of things to do for tourists, Şirince wins out. If you like to avoid tourists at all costs and appreciate getting confused stares from the locals, Bergama is better. Ephesus or Pergamon? Depends what you like in a side trip. I preferred Şirince so I’m going with Ephesus for this one. The Verdict: Ephesus or Pergamon? Which Should you Choose? As you’ll see, our scientific breakdown of whether to visit Ephesus or Pergamon ended in a tie! Oh no! If you want to avoid other tourists and touristy sites at all costs, Pergamon is your obvious choice, though Ephesus can also be quiet during low season. If time is of the essence and you want a more structured visit, where you can see more in a day, choose Ephesus. 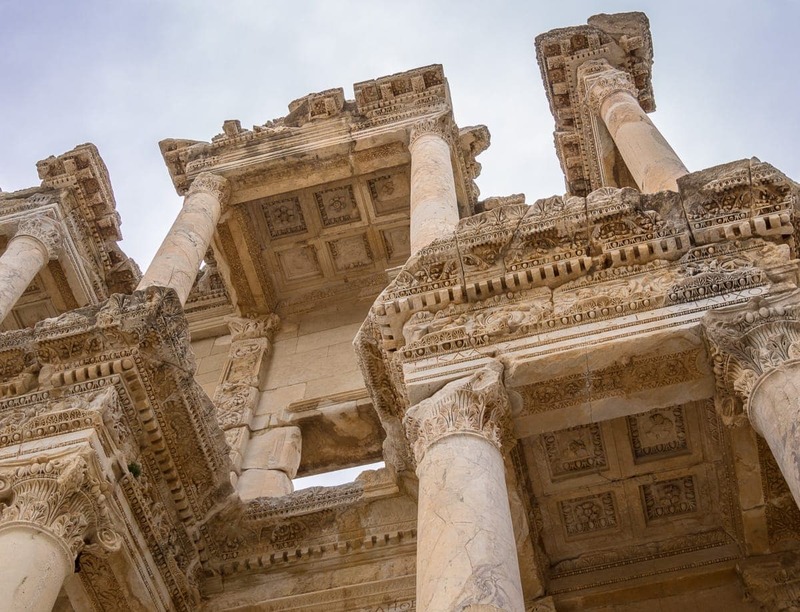 Have questions about Ephesus or Pergamon? 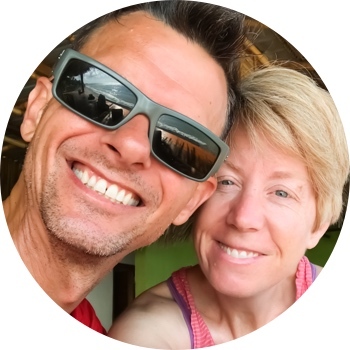 Have you been there and want to weigh in on the discussion? Comment below! Definitely Ephesus; Cleopatra, Mark Anthony, chariot ruts in the streets, Celsius library; just an incredible place. Also home to the Virgin Mary house; although not well substantiated. Hey Margot, thanks for the comment. The library is worth it alone in my opinion, though I thought the theatre was pretty incredible too! Certainly Ephesus has an incredible history and it’s easy to imagine what it was like in its heyday. Hi, Your article is impressive. Pictures are really beautiful. Thanks for great share. You’re welcome. I highly recommend visiting this area of Turkey if you get the chance!